5. No one tells you the horror of a c-section recovery. I don’t know if it’s because they don’t want to scare you or not, but wow. Surgery is crazy on its own. Getting surgery on your abdomen and then having a baby that way is something else. Granted, I don’t have anything to compare to since I only have one child, but it was not a great birth. I had to go under anesthesia, so I didn’t hold my son after he was born. I saw him, but I was so out of it that I didn’t really fully understand that I had given birth until hours later. I don’t want to get graphic, but think about the process of a c-section surgery. No wonder it’s so painful in recovery. I have never regretted coughing, sneezing or laughing so much in my life. The resulting pain from these actions are one of the worse than I have ever experienced – and that’s including the pitocin induced contractions without painkillers. 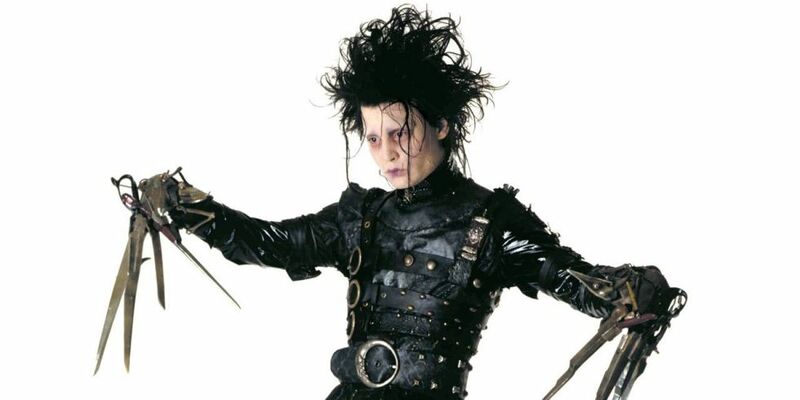 It felt like Edward Scissorhands had little fish hooks on his scissors, heated them up, and slowly pulled at your scar apart over and over again. You’re welcome for that visual. They make you walk days after this surgery, and it HURTS. Getting up is an effort and then some. To top this all off, remember, there is a newborn that relies on you. Therefore, you get no time to really recuperate, eat, sleep, etc. You are a feeding and changing machine. Someone once told me that they thought Cesareans were the most difficult of all surgeries because it’s the only one where you can’t rest right after – you work one of the most difficult (fulfilling) jobs. 4. Mom uniforms are real… it’s gonna happen whether you like it or not. My mom uniform still consists of my pregnancy leggings and whatever loose shirt I happen to find (mostly my husband’s tees). Why? Because they’re comfortable and the extra fabric at the top covers my post pregnancy belly. It feels like it’s hugging the fat…and hey, hugs can be nice sometimes. Especially if they hold in things. Of course, I don’t go out in public or work like this, because, well, my mom would have questioned my mental capacity if I did (she was very proper). BUT, I have ventured out in dachshund covered leggings and a black men’s tee to go for a walk and get a smoothie. NO REGRETS. 3. Pregnancy “joys” continue even after the baby is out. I also developed plantar fasiciitis, which impedes on my ability to lose baby weight because it hurts to exercise. WHY?! And the hair…. If the dog and I were in a shedding contest, he lost that battle a long time ago. My hair is finally starting to grow back, and now it looks like my son and I sporting the same baby hairdo. Also, my feet swelled during pregnancy. While that went down, it apparently left my feet half a size bigger and a little wider at the top. It’s like I have little duck feet. Now I have to replace my shoes. Who has the time (or money) for that? 2. Mom tribes are cool. You (or rather your child) get busier than you think. I used to wonder about those stroller crews, but now I get it. Support systems are so key in this time of your life. Who better to have than fellow moms who are going through the similar stages of your life? Once a new mom meets another new mom…BAM. Connections are made. The universe feels a little less lonely because someone else up at 2am with you trying to get the baby to feed. Some of the women in my “tribe” are women who I might have not have ever met otherwise. They have been so supportive and key people in my recovery. I feel so much better knowing that they’re there. Mom tribes are a bonus (I don’t want to be call a stroller crew). 1. I actually like being a mom. This is a completely shocker. I spent my entire life believing I was going to be childless by choice, and that motherhood was not for me. I was convinced that I didn’t have any maternal instincts whatsoever. Whenever someone would bring a baby to the office, I’d just admire from afar. I would run if someone asked me to hold their child. 6 months in, I can’t believe how much things have changed. My life is different, and it’s for the better. I know I’m a better me, and there’s just so much more clarity in my life. I’ve always had a purpose in life, and I’ve always loved living it. It never included children. I know I lived a pretty awesome life pre-baby. Now, despite my previous beliefs, I know that there’s someone else (besides the husband) who can share it too. Even better, I get to learn and do new things because of him. There’s always going to be more discoveries and things to learn – but given my 6 month journey, I’m excited to see how things turn out! For those parents out there – what did you discover when you first became a parent? I definitely agree with the c-section point. No-one tells you how painful life is for at least the​ 3 weeks post birth. Lying down, standing up, sitting down and the transition between them was so painful. Thank God for pain relief. But having said that, because I now know what to expect from a CS, I’m petrified of a vaginal birth. I have friends that have had both and they say the c-section was harder! Those leggings are amazing. I tattooed my dachshunds name on my lower back at a tattoo party once. “Lucky” right above my buttcrack. I should have found leggings instead. REGRETS HAHA! I don’t have any children yet but we’re planning to try this year and I really appreciate you sharing your experiences. I definitely cross my fingers that I can have a natural birth. Also, I’m definitely that woman who is not a fan of babies at all so I hope I end up liking it like you did! I learned to not be so hard on yourself if things don’t work out as planned. It’s definitely different when it’s your own child!